This privileged resort has 52 spacious prestige suites built in a traditional Menorcan style. 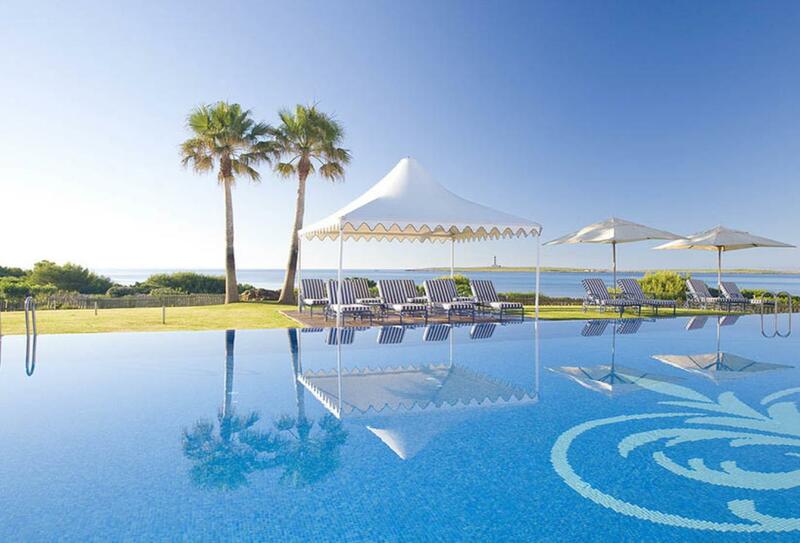 Guests may use the facilities of the Insotel Punta Prima Resort & Spa. 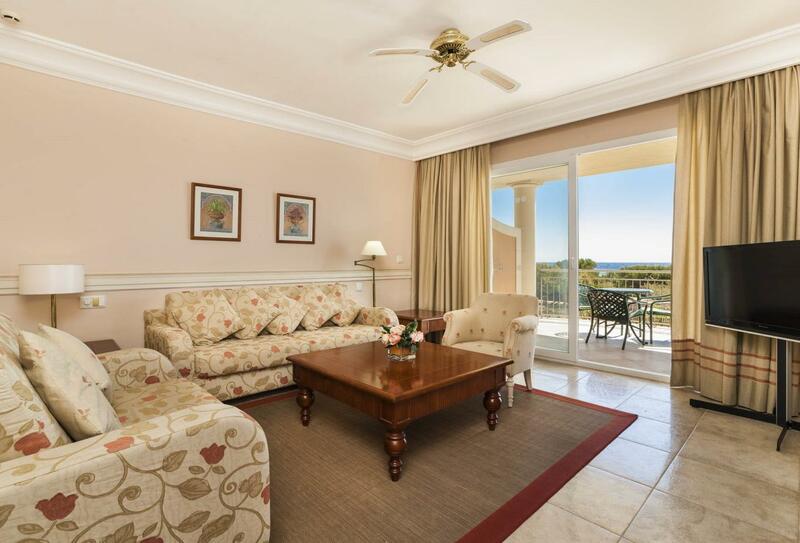 Your accommodation will be in either a Prestige Garden or Sea View Suite which includes a spacious bedroom, two bathrooms, lounge areas and a kitchen. 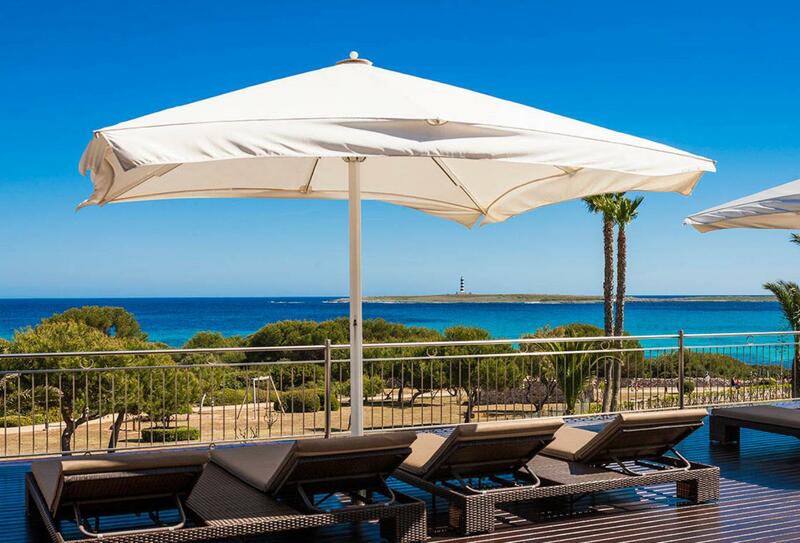 It is just 150m from the Punta Prima beach where you’ll find water sports. A huge number of land and water activities are included in your stay such as mountain bikes, tennis, squash, gym, basketball – and the list continues! 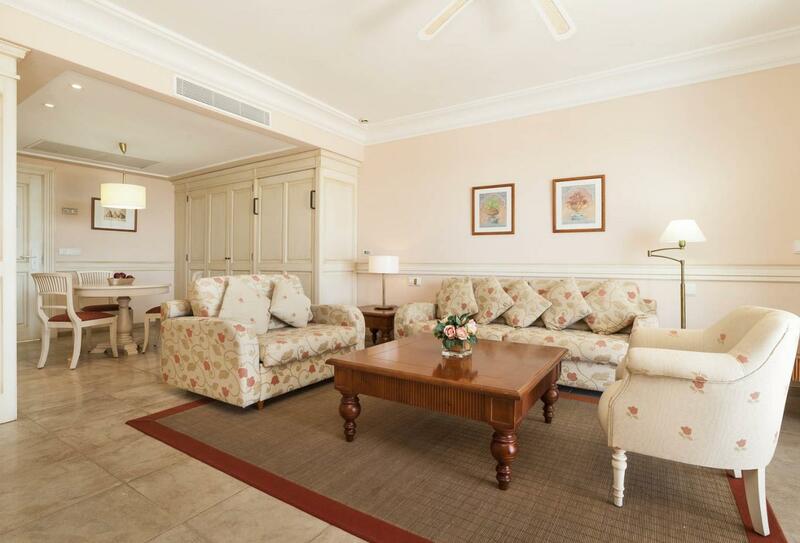 This traditionally designed and furnished suite has a separated bedroom and living areas plus a large garden terrace. In addition to the ensuite bathroom you’ll find an additional shower room with hairdryer. The suite also has a kitchenette. 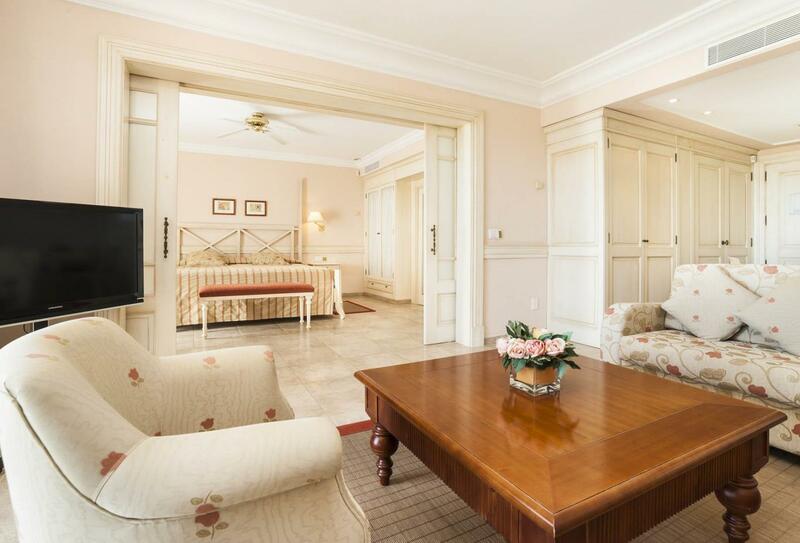 This traditionally designed and furnished suite has a separated bedroom and living areas plus a large garden terrace. 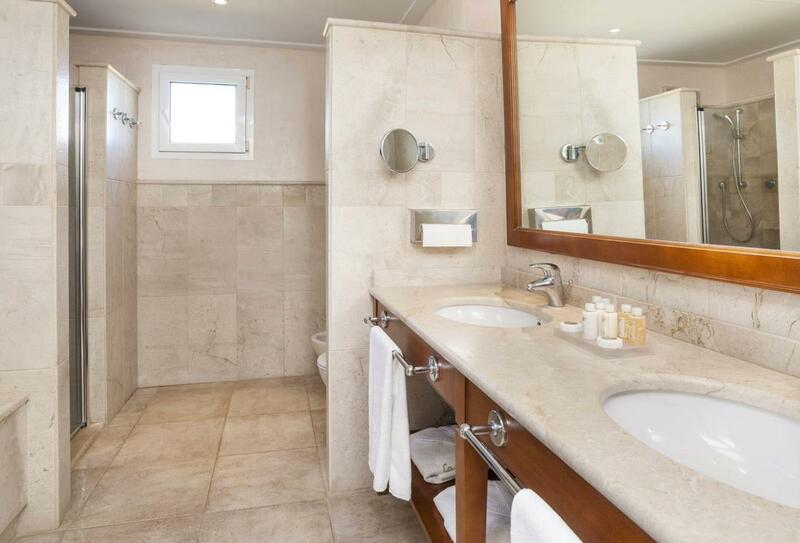 In addition to the ensuite bathroom you’ll find an additional shower room with hairdryer. The suite also has a kitchenette and sea views. 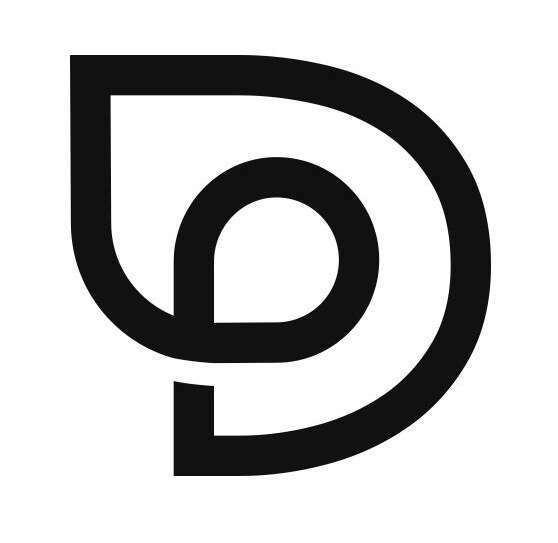 This complex includes several zones which are open to over 16s – charges may apply. This traditional, formal restaurant serves a breakfast and dinner buffet with show cooking and indoor/outdoor seating. This flamboyant restaurant serves Mediterranean cuisine from a tasting or a la carte menu. There is a terrace with sea views. Reservations required. With its magnificent open terrace and sea views, this Italian restaurant has all the traditional dishes you’d expect as well as a wood fired oven for pizza. It is open for lunch and dinner. Children’s menus available. Reservations for dinner required. This indoor/outdoor restaurant serves Mexican meals with great Spanish wines. Open in high season only. Children’s menu available. Open for lunch and dinner. Enjoy drinks, cocktails, snacks and ice cream by the pool. With indoor or chill-out terrace seating this bar has a full drinks service as well as piano entertainment. Insotel Punta Prima Prestige Suites and Spa is just 150m from the Punta Prima beach and 10km from Mahon International Airport.